Subfolders are perfect for bringing more organisational structure to your projects. 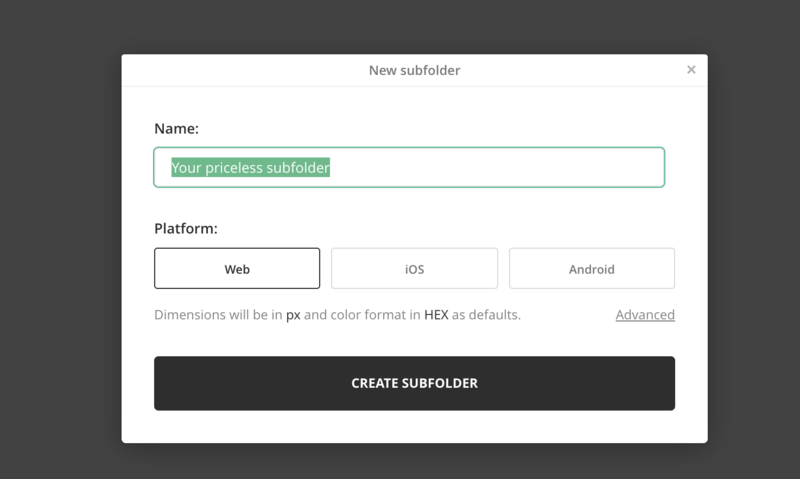 Plus you can define a platform for each subfolder. How to create a new project subfolder? 1. Make sure you're either in the Company plan, in the Enterprise plan, the Business (legacy) plan or the Enterprise (legacy) plan. In these plans, you can create an unlimited number of subfolders in projects. NOTE: It's not possible to add a Subfolder into a Subfolder. 3. Press the button “NEW SUBFOLDER” in the top right corner. Avocode recognizes 3 different project platforms, based on what you're building. Now that you have a new subfolder in the project you can add new designs to this subfolder or move existing designs here.